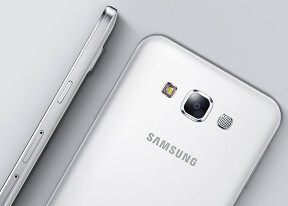 The gallery on the Samsung Galaxy E7 sorts photos either by time or by album. Based on time and location, it can also group photos by event. Yet another option uses facial recognition, which helps you find all photos featuring a specific person. Viewing images on the Samsung Galaxy E7 is a joy as its screen is big enough and the Super AMOLED panel is lovely with its deep blacks, vivid colors and immense contrast. There's also a comprehensive editor which is part of the Studio app. It offers tone adjustments, post-shot color effects, beautification and decoration features. Part of the Studio package, a collage feature provides a choice of aspect ratios, templates and backgrounds. The resulting images come out at 2,000 x 2,000 pixels when in 1:1 mode, and even larger at 2,000 x 3,555 pixels if you opt for the 16:9 ratio. The Samsung Galaxy A7 comes with the full-blown TouchWiz music player, which is among the most feature-rich apps we've seen. It supports lossless music (FLAC) and can play music to and from DLNA devices. Folder view is also available. Aside from the traditional song sorting methods, the Music square can create playlists based on mood and tempo. Alternatively you can use years instead of mood to easily create a rocking '80s playlist. A similar square is used make picking an equalizer preset simple. A more advanced feature is Adapt sound, which automatically selects the best settings based on your headphones and hearing. 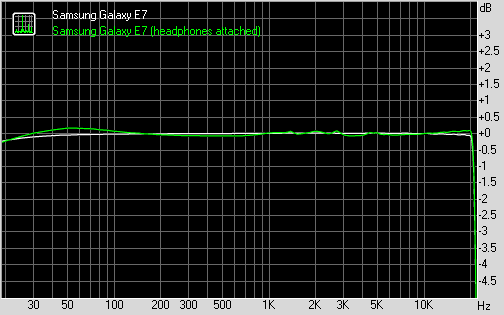 You can also use the 7-band equalizer to manually tune the player. Google Play Music is also on board - it's a good offline music player, but online play is its forte. It can play Instant Mixes, and doubles as a music store or a cloud storage for your audio. Finally, there's a stereo FM Radio app, which Samsung has been neglecting in recent flagships. The app supports RDS and can record radio broadcast (which may be disabled in some regions for legal reasons). There's an option to stream radio over the Internet if the FM reception is poor. The Samsung video player also supports DLNA, but there's only wireless screen mirroring, no MHL TV out. Subtitles are supported and you can adjust font size and color, add an optional background and a few other tweaks. You mileage may vary when using subtitles over DLNA. Videos normally start playing in Multi Window mode so you can keep browsing, you'll need to simply stretch the video window to full-screen. Alternatively, you can view videos in a pop-up window. Codec support on the Galaxy E7 is quite extensive and the smartphone plays MP4 and MKV videos up to 4K, however multichannel audio is not an option. Both H.264 and the next-gen H.265 video decoders are supported. The Samsung Galaxy E7 put in a stellar performance in the first part of our audio quality test, even surpassing the Galaxy S6 here. When attached to an active external amplifier, the smartphone produced nicely loud output with perfect clarity. Sadly, degradation when you plug in a pair of headphones is above average so the overall result, while good, is no longer impressive. Volume levels drop, some intermodulation distortion appears and we measured a fair amount of stereo crosstalk. It's still a very good overall performance, though, particularly for the price range.